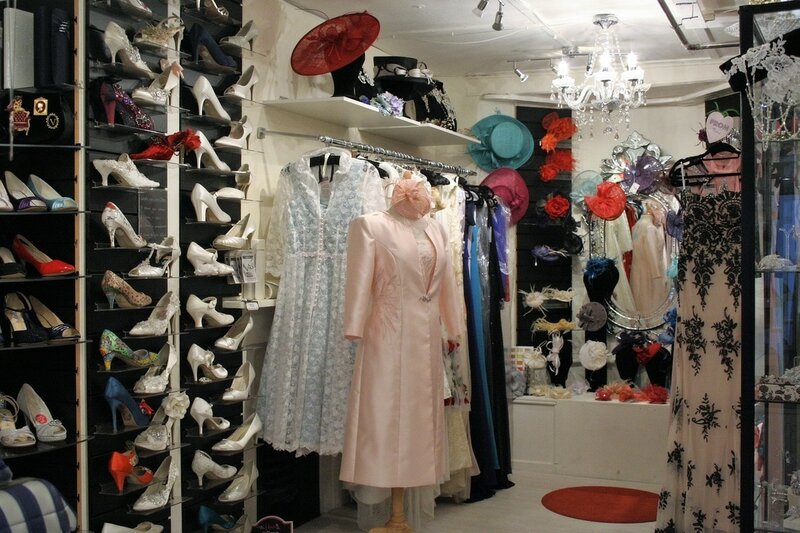 A visit to Brighton is not complete without a visit to Beretun Designs, we are an independent boutique specialising in fabulous frocks and accessories. 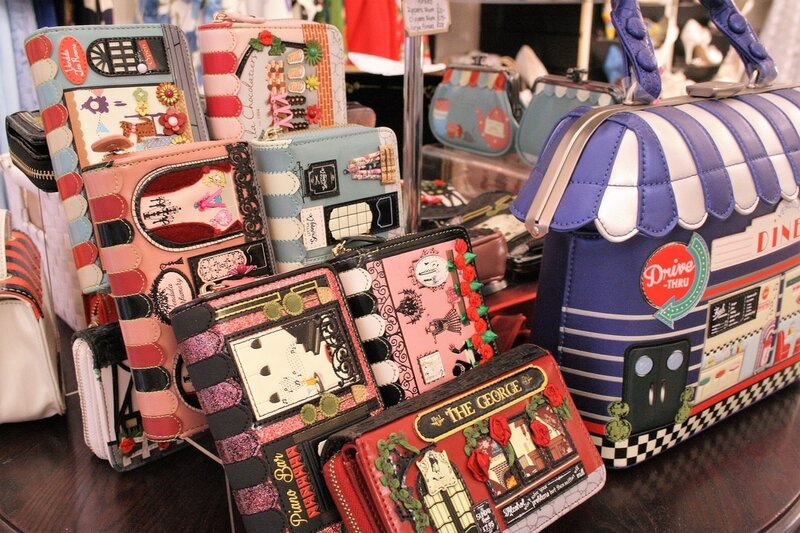 Designed and made in house or sourced from other small UK suppliers, we try, wherever possible, to buy British and fill our shop with beautifully made items from dresses to handbags, all are as quirky and as individual as you are. We have lots of gifts to treat yourself or someone special, we have our own uniquely hand made items so if you want something really special you can even commission an individual creation. We love to style our customers helping you chose the perfect dress for whatever your occasion matching shoes, bags, hat or jewellery etc. We offer an alterations service so that perfect fit is always assured, Not local? We have a courier and can deliver your altered dress or dyed shoes etc to your home. We enjoy the process of finding the right outfit for you and hope you will too, aiming to help you without pushing, putting you at ease and having fun, shopping should be fun, and that's what we want for you and your shopping experience at Beretun Designs. 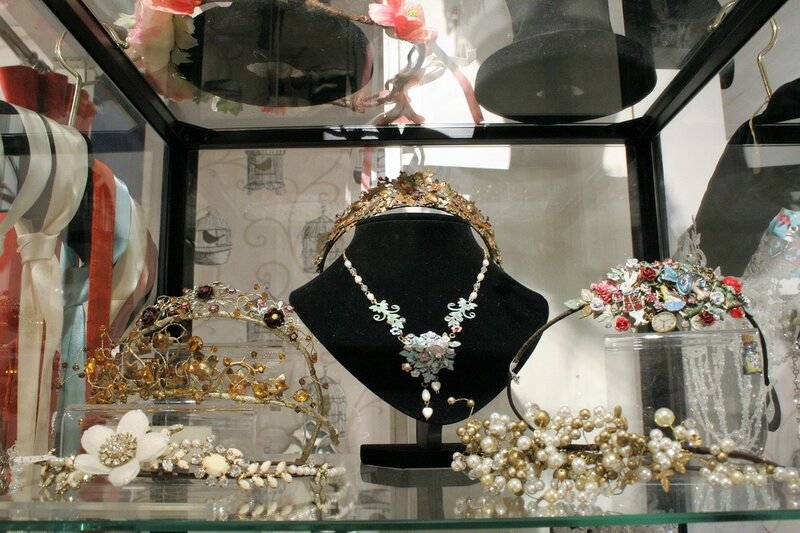 As a dress and accessories designer for over 30 years I honed my craft in the bridal industry, I create classic, modern vintage bridal gowns harking back to the glamour of the Victorian era through to the classic 50's individually for each of our brides, with matching shoes, jewellery and hair piece all hand made to order here. You can find our boutique in the North Laine area of Brighton centre near the famous Pavilion surrounded by lots of other uniquely individual shops and businesses. We are open 7 days a week so next time you are in Brighton pop in and say hello, you'll love what you find!